While Shakespeare may have ‘popularised’ the term, the ‘ides of March’ goes back to Roman times when March was the beginning of the year (giving the excuse for celebration and prayers that the new year would be prosperous) until 55 days were added in 46BC. Two years later ‘dictator for life’ Julius Caesar was stabbed to death — linking March with turmoil for ever after. 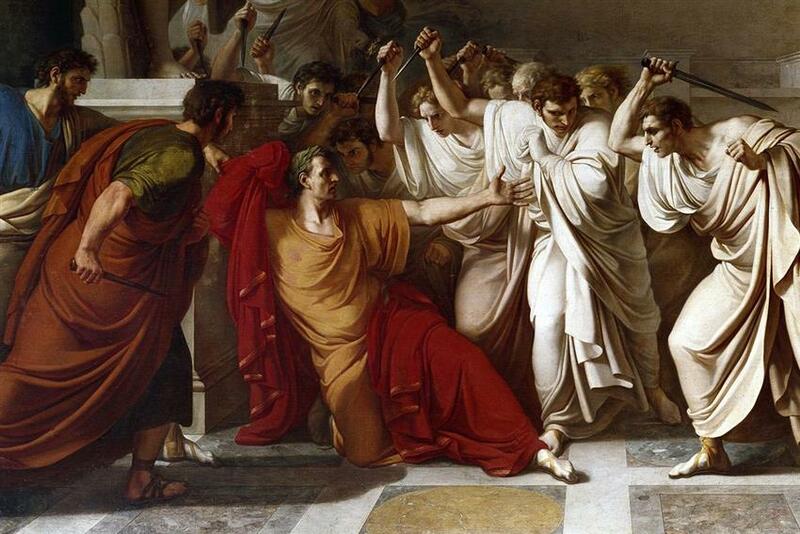 Prime Minister Scott Morrison must have felt like Julius Caesar last month. While he would be relaxed and comfortable with losing opinion polls — after all his government hasn’t won any — the covert strategies of blaming everything on ‘illegal’ asylum seekers being allowed to travel to Australia for medical treatment as well as claiming ‘good economic management’ were both shown up by external events for the furphies that they are. March opened with (depending on your point of view) either a technical recession or very small increases in the growth figures released as a part of the national accounts. Regardless of your point of view, wages are generally perceived to be growing at a lower rate than prices, fees and charges. In addition, Treasury blew the whistle on the government for mis-representing the ALP’s proposal for changes to negative gearing policy, should they win the next election. Greg Jericho, a columnist for The Guardian recently reflected on the overreaches and selective reporting of Australian politics which, if nothing else, compares the ‘shouty’ bravado of Morrison versus the longer and more nuanced (but selectively edited by sections of the media) statements of Opposition Leader Shorten, even when it comes to discussions on hate speech in the aftermath of the Christchurch terrorist attack. Like Jericho, Paddy Manning who writes for The Monthly, pointed out (in February) that ‘This is not normal’, commenting the 45th parliament is sinking under a barrage of sleaze. Then a white supremacist walked into two Christchurch mosques (ironically given the history) on 15 March. Along with everyone else, The Political Sword has made comparisons between the reactions and subsequent observations on the Christchurch terrorism event in Australia and New Zealand. And while Teena McQueen (an apparently ultra conservative factional warrior and National Vice President of the Liberal Party) did make the valid point on the ABCTV’s Q&A broadcast on March 26 that New Zealand is effectively copying Australian laws introduced in 1996 by former Prime Minister Howard after the Port Arthur massacre, the rest of McQueen’s performance was in the opinion of Nine Media’s Neil McMahon Train wreck TV. McQueen tried to diminish Ardern’s credibility by suggesting that her government is a coalition with Winston Peter’s NZ First party. True, it is, and Peters has run an anti-immigration line at times — but the Morrison government (whose party has also consistently run an anti-immigration line for 25 years or so) is the result of a long-term coalition with the National Party. Most countries around the world have to some extent a coalition of political views in their respective governments. Apart from showing that ideology without knowledge or understanding is a dangerous thing, her point is. . . ? If McQueen wasn’t bad enough to end the month on, The Sydney Morning Herald and The Age published Peter Hartcher’s Endgame series that in four articles discusses the machinations behind the Abbott, Turnbull, Morrison governments — and yes Morrison was in the mix promoting his own self-interest, just like Abbott and Dutton. The same week as Endgame was published and McQueen appeared on Q&A, ABCTV broadcast Al Jazeera’s ‘How to sell a massacre’ , detailing a ‘sting’ operation on the USA’s National Rifle Association (NRA) using two ‘officials’ from Australia’s One Nation. It’s easy to believe that originally the ruse did not involve One Nation, but the producers were happy that the Party was gullible enough to accidentally participate. During the program, a number of statements were made by the One Nation officials that indicated that they were in favour of relaxing gun laws and repeated white supremacist hate based rhetoric. Morrison spent much of the week trying to justify distancing himself and by implication his government from the actions and policies expressed by the One Nation officials, but still courting their preferences. The ALP announced early in the week that they would be recommending that voters placed the One Nation candidate last when completing ballot papers. Political parties in general need to remember that while they can ‘recommend’, ‘suggest’ or even ‘encourage you strongly’ to follow the order of preferences determined by the respective head offices or campaign headquarters, they only ‘control’ or ‘direct’ the preferences when you vote above the line on the Senate paper. So while Morrison got into all sorts of bother sitting on the fence yet again, he could have finished the ‘discussion’ over One Nations’ apparent love of guns and white supremacy in a day by suggesting that the Liberal Party will put One Nation last on the Senate ‘above the line’ preferences and that voters do the same when they have to decide preferences. Morrison can’t speak for the Nationals or the LNP in Queensland as they are separate Parties (that don’t have to follow your direction Teena), the same problem McQueen claimed demonstrated a lack of credibility of the Labour/NZ First Coalition in New Zealand. So April brought the budget promising things that might only occur if the Coalition is re-elected and has a Senate that will work with them. No doubt the rest of the month will bring more examples of Morrison tying himself in knots, especially with the additional pressure of a formal election campaign. Watch this space.